Living by the ocean and having access to surfing has more benefits than you may think. The benefits of surfing span much further than just being physical- it’s also great for your mood, and your mind. Being physically active and having a balanced life is a key component to overall health. 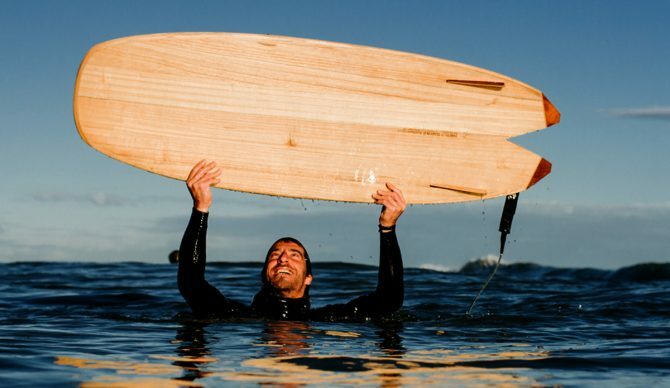 Here are the reasons surfing is a great sport for you. Surfing is a great cardiovascular exercise that keeps your heart pumping throughout the workout. Since a large portion of surfing involves paddling, which is low-resistance, you get a good core and upper body workout that’s easy on your joint. Once you find a wave to catch, you’re using your core for balance, and your legs remain active! Water sports in general tend to be great full-body exercises, and surfing is no exception. The low resistant and constant movement keeps your heart pumping and your joints happy. Weight loss is also an awesome benefit! The average person burns around 400 calories an hour while they surf. The great part about surfing is that the hour tends to go by very fast and you will more than likely want to surf another hour. Surfing is a fun way to get yourself is shape while you’re having fun. Being submerged in the ocean is also proven to reduce stress and improve mental health. Also, extended physical exercise leads to the release of endorphins which provide a natural euphoria and good mood. Those who surf also mention the feeling of power they feel while the commune with the ocean, and that it has taught them patience. The act of surfing can take years to master so it promotes a good work ethic and also gives a healthy challenge. Since surfers must focus on the water, their movements, and the wave sets, they find this time a release from thoughts and the dialogue that’s always in our heads. The time spent in the ocean can improve so much more than just your physical appearance.